Copyright: © 2017 Baqvi SUA. This is an open-access article distributed under the terms of the Creative Commons Attribution License, which permits unrestricted use, distribution, and reproduction in any medium, provided the original author and source are credited. Gliomas are the most common type of primary brain tumors. On histopathological and clinical criteria gliomas are classified as grade I to grade IV by the World Health Organization (WHO). Recent studies show that survival improves for patients who get aggressive surgery to remove a tumor before starting radiation (RT) and chemotherapy (chemo) treatment. Temozolomide and radiotherapy are the initial treatment setting for gliomas because this is the established standard of care . New mediators or treatment delivery methods are also tried in the recurrence disease setting, where there are limited accepted treatment alternatives. Disturbance of p53 function, a crucial regulator of genomic stability, occurs recurrently in malignant glioma due to three probable factors; direct mutation or loss, human doubleminute 2 (HDM2) amplification and p14ARF mutation [2,3]. Other genetic anomalies contribute to disruption of cell cycle control, including CDK4 amplification or loss of either RB1, p16INK4A or P15INK4B, due to either inactivating mutation or promoting hypermethylation . Malignant gliomas are mostly associated with abnormal signal transduction pathways which lead to disturbance of key cellular processes like proliferation, angiogenesis, apoptosis, and invasion. Dysregulation of the PI3K/AKT pathway, the most significant abnormal signaling cascade is associated with adverse consequence and has been related genetic defects . Overexpression, mutation or amplification of receptors can increase PI3K/AKT activity which is a consequence of rise in activity of growth factor receptor tyrosine kinases (TKIs). The most common abnormally active growth factor TKIs in malignant gliomas include the epidermal growth factor receptor(EGFR) , insulin-like growth factor-1 receptor (IGF1R) , platelet derived growth factor receptor (PDGFR)  and c-kit . In this paper, we review the different strategies applied globally for the treatment of malignant gliomas. We structure our review around questions likely to be of interest to standard management of gliomas and the work done by various medical experts in the recent past in this regard. Our review also identifies a number of opportunities for future research on glioma management. A literature review of english literature was performed on PUBMED/Medline database. The keywords utilized were glioblastoma, GBM, chemotherapy, novel drugs and outcomes. The full texts of the related studies were acquired and reviewed independently by researchers and evidence based conclusions were drawn after mutual consensus. Studies showing level III or above evidence were included in the review. Studies on novel drugs depicting only level IV evidence for GBM were excluded from the review. Standard therapy for glioblastoma multiforme consists of surgical excision to the extent that is safely feasible, followed by radiotherapy and temozolomide (TMZ). Temozolomide is an oral alkylating antineoplastic agent used in cancer treatment that attaches an alkyl group (CnH2n+1) to DNA. Temozolomide has demonstrated antitumor activity both as a single agent and in combinations with radiotherapy and other chemotherapeutic agents in the treatment of recurrent glioma [10,11]. The approved conventional schedule for temozolomide is a daily dose of 150 to 200 mg per square meter of body-surface area for 5 days of every 28-day cycle . A study conducted by Roger Stupp and his team of researchers published its findings in 2002 . It was among the initial pioneering studies which suggested that temozolomide and radiotherapy combined had potentiating results for treating GBM. The comprehensive purpose of this phase II study was to determine the safety, tolerability, and efficacy of concomitant radiation plus temozolomide therapy followed by adjuvant temozolomide therapy in patients with newly diagnosed GBM. Sixty-four patients with GBM were recruited in the trial. Concomitant radiation plus temozolomide therapy was found to be safe and well tolerated in most patients. A very few cases of nonhematologic toxicities were reported which were mild to moderate in severity. Throughout the concomitant treatment phase, only 6% of the patients reported with neutropenia or thrombocytopenia, which also included two severe infections with Pneumocystis carinii. In the adjuvant six temozolomide cycles, 2% of patients reported with neutropenia and 6% of patients encountered thrombocytopenia. Median survival rate was estimated to be 16 months, and the 1 and 2 year survival rates were 58% and 31%, respectively. It was also suggested that the patients who were younger than 50 years old and who underwent debulking surgery had the best survival outcome among all. The study concluded that continuous daily temozolomide and concomitant radiotherapy is generally safe and well tolerated and this regimen may prolong the survival of patients with glioblastoma multiforme. After the promising clinical outcomes of the aforementioned phase II trial (two-year survival rate; 31 percent), the European Organization for Research and Treatment of Cancer (EORTC), Brain Tumor and Radiotherapy Groups and the National Cancer Institute of Canada (NCIC) Clinical Trials Group initiated a randomized phase 3 trial in 2004-2005  to compare this regimen with radiotherapy alone in patients with newly diagnosed glioblastoma. This was a large trial consisting of 573 patients with newly diagnosed and histologically confirmed glioblastoma who were randomly assigned to receive radiotherapy alone or radiotherapy with temozolomide plus adjuvant six cycles of temozolomide therapy. The dosage followed for radiotherapy, concomitant temozolomide and adjuvant temozolomide was precisely the same as the phase II trial. The results were enormously in favor of temozolomide plus radiotherapy regimen as compared to radiotherapy alone with a two-year survival rate of 26.5 percent in patients on radiotherapy with temozolomide and only 10.4 percent in patients on radiotherapy alone. The side effects profile showed similar findings with only 7 percent of patients suffering from grade 3 or 4 hematologic toxic effects with concomitant treatment with radiotherapy plus temozolomide. After this large multicenter phase III trial it was established that the addition of temozolomide to radiotherapy for the treatment of glioblastoma resulted in a clinically and statistically significant survival benefit with negligible additional toxicity and is accordingly now included in the initial standard treatment setting for the treatment of newly diagnosed glioblastomas (Table 1). Table 1: Currently practiced Drug Regimes for GBM as per our literature review. Clinical data suggests that bevacizumab and irinotecan have action against the progression of GBM . No unforeseen toxicities in patients with recurrent GBM have been reported with the use of bevacizumab while the use of irinotecan is still questionable due to is wider profile of adverse effects [16,17]. Several trials indicate that combining bevacizumab with standard therapy for newly diagnosed GBM is feasible [18,19]. There are claims that bevacizumab may promote tumor invasion by upregulation of invasion-related genes , although data from recent studies do not support a propensity for bevacizumab to induce diffuse tumor growth or distant spread at recurrence [11,21]. Vredenburgh et al. conducted a phase II trial in 2007 of bevacizumab and irinotecan in adults with recurrent grade IIIIV glioma [12,22]. Patients were specified bevacizumab and irinotecan i.v. every 2 weeks of a 6-week cycle. The dose for bevacizumab was calculated to be 10 mg/kg. The dose of irinotecan was 340 mg/m2 for subjects taking enzyme-inducing antiepileptic drugs, whereas patients not taking enzymeinducing antiepileptic drugs received 125 mg/m2. Assesment of toxicity and response of the drug was carried out. Thirtytwo patients were assessed (23 with grade IV glioma and 9 with grade III glioma). The median progression-free survival was 23 weeks for all patients (20 weeks for grade IV patients and 30 weeks for grade III patients). No central nervous system hemorrhages occurred. They concluded that the combination of bevacizumab and irinotecan is an active regimen for recurrent grade III-IV glioma with acceptable toxicity. A phase 3 trial study in 2014 evaluated the role of bevacizumab, when added to the standard of care i.e. chemoradiation with temozolomide, in the prolongation of survival (PFS) and overall survival (OS) over 921 patients, out of which 458 were randomly assigned to bevacizumab trial while 463 were included in placebo. Median PFS was 10.6 months in bevacizumab tested patients while 6.2 months in placebo (0.64, CI 95%, 0.55-0.74). Rates of OS were 72.4% and 66.3% at 1 year and 33.9% and 30.1% at 2 years with bevacizumab and placebo respectively . Another similar randomized phase 3 trial in 2013 over 637 patients depicted improved PFS but no change in OS . Regarding toxicity, a phase 2 study in 2008 revealed that thromboembolic events were the most common haphazard with 12.5% (6 out of total 48 patients) were affected while hypertension was the second most common adverse event found . More studies are still in process to explore the effects of bevacizumab. An exploratory study including 11 participants is currently in phase 1 trial to see the modulation of the immune system by VEGF blockade in patients with glioblastoma multiforme . Another ongoing study expected to be completed by November 2017 with an estimated enrollment of 23 participants is trialing the side effects associated with the use of rapamycin and bevacizumab in treating the patients with glioblastoma . Role of PTK/ZK (vatalanib) in combination with temozolomide and radiotherapy in newly diagnosed glioblastoma patients has been studied by Alba A. Brandes in 2009-2010 . Vatalanib a multiple VEGF receptor inhibitor, blocks the intracellular tyrosine kinase activity of all known VEGF receptors and is therefore suitable for long-term therapy of pathologic tumor neovascularization. In this study PTK/ZK was added to standard concomitant and adjuvant treatment. The study was conducted among 20 subjects. In the phase I study once daily administration of up to 1000 mg of PTK/ZK in conjunction with concomitant temozolomide and radiotherapy was found to be feasible and safe. Any usage of higher dose than 1000 mg demonstrated the appearance of side effects including diarrhea, thrombocytopenia, neutropenia and rarely hepatic toxicity. Prolonged administration of vatalanib orally was also found to be manageable. Phase 2 trial conducted by Desjardins  in 2007 on imatinibmesylate another tyrosine kinase inhibitor and hydroxyurea for recurrent grade III malignant gliomas revealed the effectiveness of this class of treatment. Thirty-nine patients were enrolled in the study. All patients had a history of progressive disease after prior radiotherapy and at least temozolomide-based chemotherapy. The dose was set to be 500 mg twice daily for patients using enzyme induced antiepileptic drugs and 400 mg once daily for patients not taking enzyme induced anti-epileptic drugs. After a median follow-up of 82.9 weeks, 24% of patients were progression-free at 6 months. The radiographic response rate was 10%, while 33% achieved stable disease. Furthermore, the patients who achieved stable disease at first evaluation, the 6-month and 12-month progression free survival rates were 53% and 29%, respectively. The most common toxicities were found to be hematologic and comprised less than 4% of administered courses. The study concluded that Imatinib mesylate plus hydroxyurea, is generally well tolerated and associated with anti-tumor activity in some patients with recurrent grade 3 malignant glioma. A previous placebo-controlled trial conducted by Manfred Westphal has shown that biodegradable 1,3-bis(2- chloroethyl)-1-nitrosourea (BCNU) wafers extend survival in patients with recurrent glioblastoma multiforme [29,30]. A large phase 3 trial was performed back in 2003 among two hundred and forty patients. Subjects were randomized to receive either BCNU or placebo wafers at the time of primary surgical resection. The two groups were similar for age, gender and tumor histology. The median survival time was found to be 13.9 months for the BCNU wafer treated group and 11.6 months for the placebo treated group with a 29% reduction in the risk of death in the treatment group. There were similar adverse effects for the two groups, except for CSF leak (5% in the BCNU wafer-treated group vs. 0.8% in the placebo-treated group) and intracranial hypertension (9.1% in the BCNU wafertreated group vs. 1.7% in the placebo group). This study confirms that local chemotherapy with BCNU wafers is well tolerated and offers a survival benefit to patients with newly diagnosed malignant glioma. Another study conducted in 2009 by McGirt on BCNU wafer plus concomitant temozolomide therapy displayed positive results . Thirty-three patients were treated with BCNU in addition to radiotherapy and temozolomide. The median survival in this group was 20.7 months, with a 2-year survival rate of 36%. In this study, concomitant TMZ therapy in addition to BCNU wafers was associated with a median survival of nearly 21 months without increased preoperative morbidity. An ongoing lengthy trial started in 2000 is trialing the efficiency of carmustine combined with radiotherapy compared to temozolomide and radiotherapy in treating patients with anaplastic astrocytoma or mixed gliomas. The study has an enrollment of 230 participants and is expected to be completed by 2020 . Another study comprising of 41 subjects is underway at Duke University determining the safety and effectiveness of Gliadel wafers at the time of surgery on malignant brain tumors. This study is expected to be completed by 2018 . Activation of the PI3K/AKT/mTOR pathway has been associated with reduced survival of glioma patients . The mammalian target of rapamycin (mTOR) is a key downstream mediator of the PI3K pathway, and provides critical regulation of several essential cellular processes in both normal and neoplastic cells including nutrient metabolism, cell-cycle progression and protein translation . This led to the use of a number of negative single- or multi-targeted therapies including the mTOR inhibitors or its derivatives the ‘rapalogs’ everolimus (RAD001), deforolimus (AP23573), and temsirolimus (CCI-779) [36,37]. A phase 2 trial in 2005 evaluated the response to temsirolimus in recurrent gliomas over 65 patients which were previously treated ≤1 chemotherapy regimen. Drug was administered 250 mg weekly for 4 weeks. Twenty patients (36%) had evidence of improvement in neuroimaging, consisting of decrease in T2 signal abnormality +/− decrease in T1 gadolinium enhancement, on stable or reduced steroid doses. PFS at 6 months was 7.8% and median OS was 4.4 months. The incidence of grade 3 or higher nonhematologic toxicity was 51%, and consisted mostly of hypercholesterolemia (11%), hypertriglyceridemia (8%), and hyperglycemia (8%). Grade 3 hematologic toxicity was observed in 11% of patients . Another phase 2 study in 2015 over 37 patients showed that after the failure of previous chemotherapeutic regimens when they were kept on 75 mg temsirolimus weekly as a single agent, complete response was seen in five patients (13.5%), complete response unconfirmed in three (8%), and partial response in 12 (32.4%) for an overall response rate of 54%. Median PFS was 2.1 months (95% CI, 1.1 to 3.0 months). Regarding toxicity, the most common effects were; hyperglycemia in 11 (29.7%) patients, thrombocytopenia in eight (21.6%), infection in seven (19%), anemia in four (10.8%), and rash in three (8.1%) . We conclude that the most prospective non-surgical treatment options for GBM include temozolamide, bevacizumab, iriniotecan, valatinib, temsirolimus and BCNU in their respective regimes and combinations . The aforementioned drugs exhibited better outcomes and progression free survival as compared to placebo. There is substantial evidence regarding the combination therapy being superior to monotherapy in terms of toxicity profiles of patients. It is likely that the newer therapeutic drugs may become first line treatment particularly for rGBM in the future; however, TMZ still remains the drug of choice till today. Clarke J, Butowski N, Chang S (2010) Recent Advances in Therapy for Glioblastoma. Archives of Neurology 67: 279-283. Furnari FB, Fenton T, Bachoo RM, Mukasa A, Stommel JM, et al. (2007) Malignant Astrocyticglioma: Genetics, Biology, and Paths to Treatment. Genes & development 21: 2683-2710. Bagchi A, Papazoglu C, Wu Y, Vogel H, Bredel M, et al. (2010) An in Vivo Screen Identifies Chd5 as a Novel Tumor Suppressor at Human 1: 36. Holland EC, Hively WP, Gallo V, Varmus HE (1998) Modeling Mutations in the G1 Arrest Pathway in Human Gliomas: Overexpression of CDK4 but not Loss of Ink4a-ARF Induces Hyperploidy in Cultured Mouse Astrocytes. Genes & development 12: 3644-3649. Beroukhim R, Getz G, Nghiemphu L, Barretina J, Hsueh T, et al. (2007) Assessing the Significance of Chromosomal Aberrations in Cancer: Methodology and Application to Glioma. Proceedings of the National Academy of Sciences 104: 20007-20012. Â»awrocki A, Biernat W (2005) Epidermal Growth Factor Receptor in Glioblastoma. Folia Neuropathologica 3. Fuller GN, Rhee CH, Hess KR, Caskey LS, Wang R, et al. (1999) Reactivation of Insulin-Like Growth Factor Binding Protein 2 Expression in Glioblastoma multiforme. Cancer research 59: 4228-4232. Fleming TP, Saxena A, Clark WC, Robertson JT, Oldfield EH, et al. (1992) Amplification and/or Overexpression of Platelet-Derived Growth Factor Receptors and Epidermal Growth Factor Receptor in Human Glial Tumors. Cancer Research 52: 4550-4553. Stanulla M, Welte K, Hadam MR, Pietsch T (1995) Coexpression of Stem Cell Factor And its Receptor C-Kit in Human Malignant Glioma Cell Lines. Actaneuropathologica 89: 158-165. Friedman HS, Prados MD, Wen PY (2009) Bevacizumab Alone and in Combination with Irinotecan in Recurrent Glioblastoma. J ClinOncol 27: 4733-4740. Kreisl TN, Kim L, Moore K, Duic P, Royce C, et al. (2009) Phase Ii Trial of Single-Agent Bevacizumab Followed by Bevacizumab Plus Irinotecan at Tumor Progression in Recurrent Glioblastoma. J ClinOncol 27: 740-745. Narayana A, Golfinos JG, Fischer I (2008) Feasibility of Using Bevacizumab with Radiation Therapy and Temozolomide in Newly Diagnosed High-Grade Glioma. Int J Radiat OncolBiol Phys 72: 383-389. Lai A, Tran A Nghiemphu PL (2011) Phase Ii Trial of Bevacizumab Plus Temozolomide During and After Radiation Therapy For Patients with Newly Diagnosed Glioblastoma Multiforme. J ClinOncol 29: 142-148. Gruber ML, Raza S, Gruber D, Narayana A (2009) Bevacizumab in Combination with Radiotherapy Plus Concomitant and Adjuvant Temozolomide for Newly Diagnosed Glioblastoma: Update Progressionfree Survival, Overall Survival, And Toxicity. J ClinOncol 27. Lucio-Eterovic AK, Piao Y, de Groot JF (2009) Mediators of Glioblastoma Resistance and Invasion During Antivascular Endothelial Growth Factor Therapy. Clin Cancer Res. 15: 4589-4599. Pope WB, Xia Q, Paton VE (2011) Patterns of Progression in Patients with Recurrent Glioblastoma Treated with Bevacizumab. Neurology 76: 432-437. Wick W, Wick A, Weiler M, Weller M (2011) Patterns of Progression in Malignant Glioma Following Antiveg Therapy: Perceptions and Evidence. CurrNeurolNeurosci Rep. In press. Vredenburgh JJ, Desjardins A, Herndon JE, Dowell JM, Reardon DA, et al. (2007) Phase II Trial of Bevacizumab and Irinotecan in Recurrent Malignant Glioma. Clinical cancer research 3: 1253-1259. Chinot OL, Wick W, Mason W, Henriksson R, Saran F, et al. (2014) Bevacizumab Plus Radiotherapy–Temozolomide for Newly Diagnosed Glioblastoma. New England Journal of Medicine 370: 709-722. Gilbert MR, Dignam J, Won M, Blumenthal DT, Vogelbaum MA, et al. RTOG 0825: phase III double-blind placebo-controlled trial evaluating bevacizumab (bev) in patients (pts) with newly diagnosed glioblastoma (gbm). Brandes AA, Stupp R, Hau P, Lacombe D, Gorlia T, et al. (2010) EORTC Study 26041-22041: Phase I/II Study on Concomitant and Adjuvant Temozolomide (Tmz) and Radiotherapy (Rt) with Ptk787/Zk222584 (Ptk/Zk) in Newly Diagnosed Glioblastoma. European Journal of Cancer 46: 348-54. Desjardins A, Quinn JA, Vredenburgh JJ, Sathornsumetee S, Friedman AH, et al. (2007) Phase II Study of Imatinibmesylate and Hydroxyurea for Recurrent Grade Iii Malignant Gliomas. Journal of neuro-oncology 83: 53-60. Westphal M, Hilt DC, Bortey E, Delavault P, Olivares R, et al. (2003) A Phase 3 Trial of Local Chemotherapy with Biodegradable Carmustine (Bcnu) Wafers (Gliadel Wafers) in Patients with Primary Malignant Glioma. Neuro-oncology 5: 79-88. McGirt MJ, Than KD, Weingart JD, Chaichana KL, Attenello FJ, et al. (2009) Gliadel (Bcnu) Wafer Plus Concomitant Temozolomide Therapy After Primary Resection of Glioblastoma Multiforme: Clinical Article. Journal of neurosurgery 110: 583-8. Chakravarti A, Zhai G, Suzuki Y, Sarkesh S, Black PM, et al. The Prognostic Significance of Phosphatidylinositol 3-Kinase Pathway Activation in Human Gliomas. J ClinOncol 22: 1926-1933. Schmelzle T, Hall MN (2000) TOR, A Central Controller of Cell Growth. Cell 103: 253-262. Faivre S, Kroemer G, Raymond E (2006) Current Development of mTOR Inhibitors As Anticancer Agents. Nat Rev Drug Discov 5: 671-688. Galanis E, Buckner JC, Maurer MJ, Kreisberg JI, Ballman K, et al. (2005) Phase II Trial of Temsirolimus (CCI-779) in Recurrent Glioblastoma Multiforme: A North Central Cancer Treatment Group Study. Journal of Clinical Oncology 23: 5294-304. Korfel A, Schlegel U, Herrlinger U, Dreyling M, Schmidt C, et al. (2016) Phase II Trial of Temsirolimus for Relapsed/Refractory Primary CNS lymphoma. Journal of Clinical Oncology 34: 1757-1763. Louis DN, Perry A, Reifenberger G, Von Deimling A, Figarella-Branger D, et al. (2016) The 2016 World Health Organization Classification of Tumors of the Central Nervous System: A Summary. Acta neuropathologica 131: 803-820. Dartmouth Hithcock Medcial Center (2016) Exploratory Study of the Modulation of the Immune System by VEGF Blockade in Patients With Glioblastoma Multiforme (GBM) Lebanon, New Hampshire, United States. National Cancer Institute (2017) TORC1/2 Inhibitor MLN0128 and Bevacizumab in Treating Patients with Recurrent Glioblastoma or Advanced Solid Tumors. National Cancer Institute (NCI), North Central Cancer Treatment Group, Eastern Cooperative Oncology Group, NRG Oncology. Information provided by (Responsible Party), Radiation Therapy Oncology Group, Radiation Therapy Combined With Chemotherapy in Treating Patients With Anaplastic Astrocytoma or Mixed Gliomas. Duke University (2010) Gliade, XRT, Temodar, Avastin Followed by Avastin, Temodar for Newly Diagnosed Glioblastoma Multiforme (GBM). Newlands ES, Stevens MFG, Wedge SR, Wheelhouse RT, Brock C, et al. (1997) Temozolomide: A review of its Discovery, Chemical Properties, Pre-Clinical development and Clinical Trials. Cancer Treat Rev 23: 35-61. Stupp R, Gander M, Leyvraz S, Newlands E (2001) Current and Future Developments in the Use of Temozolomide for the Treatment of Brain Tumours. Lancet Oncol 2: 552-560. Stupp R, Mason WP, Van Den Bent MJ, Weller M, Fisher B, et al. (2005) Radiotherapy Plus Concomitant and Adjuvant Temozolomide for Glioblastoma. 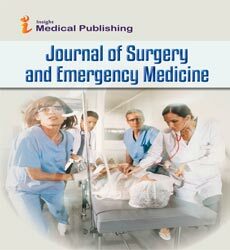 New England Journal of Medicine 352: 987-996. Stupp R, Dietrich PY, Kraljevic SO, Pica A, Maillard I, et al. (2002) Promising Survival for Patients with Newly Diagnosed Glioblastoma Multiforme Treated with Concomitant Radiation Plus Temozolomide Followed by Adjuvant Temozolomide. Journal of Clinical Oncology 20: 1375-1382.